If you’ve ever wanted to see slot gaming’s most revered symbols – i.e. fruit – mashed to a pulp and made into jam then this is your lucky day. 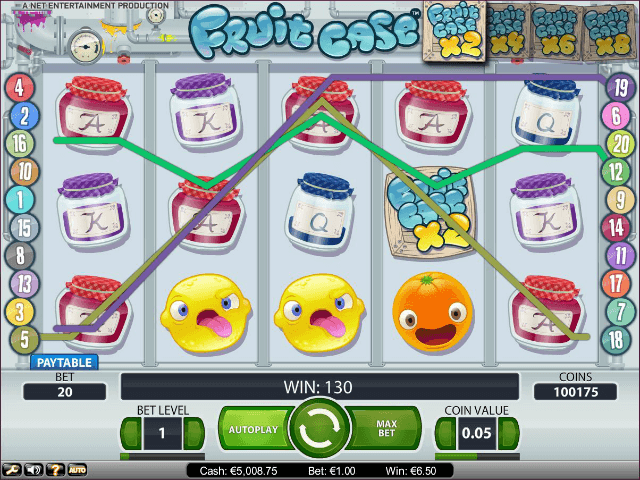 Fruit Case, a slick little five-reel, 20-payline slot from NetEnt, lets you watch those fruity avatars that have teased you for so long meet a sticky end in the most satisfying of ways. If you’re the kind of person who enjoys bursting those small blisters on sheets of bubble wrap, then chances are you’ll warm to the devilishly agreeable charm of Fruit Case straight away. The most obvious thing to note about the Fruit Case slot machine is the degree of gratification you get from playing it. As well as being fast, cheeky and colourful, it’s also beautifully animated so you really do feel a sense of satisfaction when the marmalade jars smash and the fruit characters get squished. This quirky and often messy fun is on hand from £0.15 to £100 per spin. The maximum possible jackpot is a juicy 2,000 coins. 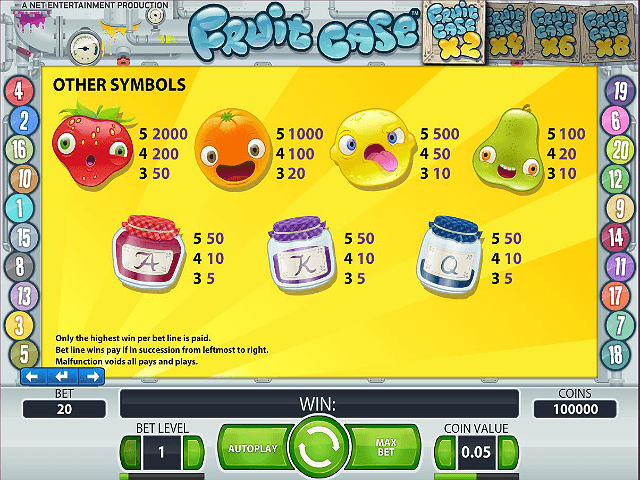 Unsurprisingly, the fruit icons (pears, lemons, oranges and strawberries) are the highest-value symbols in the Fruit Case slot game. Playing cards attached to the front of different coloured jam jars make up the lower-value emblems. Also on show are a blender (the Free Fall symbol) and the Fruit Case wild symbol (an actual fruit case), which has a multiplier on it. The Free Falls feature is very similar to the free spins rounds used in many other NetEnt games. It’s not a scatter though, so you’ll have to get it lined up to receive the bonus. If you manage to get three or more in a line then you’ll land ten Free Falls. A three-times multiplier applies during this feature so it’s perfectly feasible to trigger more Free Falls as you progress through the round. Another of NetEnt’s most popular trademarks – the Avalanche feature – makes an appearance in Fruit Case. If you’re not familiar with it, this involves winning combinations getting squashed and then replaced with more falling symbols when they’ve disappeared. It may seem a little ‘samey’ to the Free Fall feature, but it’s worth remembering that the wild avatar in every Avalanche round is bestowed with a higher multiplier (from two-times to eight-times) that applies to all winning combinations that include the wild. The best thing about this feature is – if your luck’s in – you can hit multiple winning combinations one after the other without lifting a finger. There’s little doubt that NetEnt has managed, in its own inimitable way, to put an entirely new spin on what is essentially a very familiar concept. 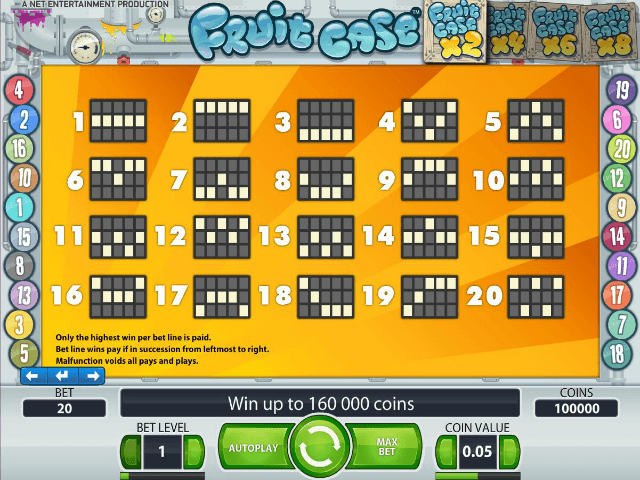 The Fruit Case online slot game is lively, colourful and engaging, and has a sense of fun that is infectious at times. The Avalanche feature is particularly entertaining. 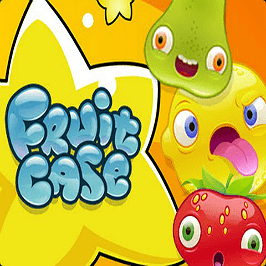 Simply put, Fruit Case is likely to raise a smile amongst even the most jaded of players. 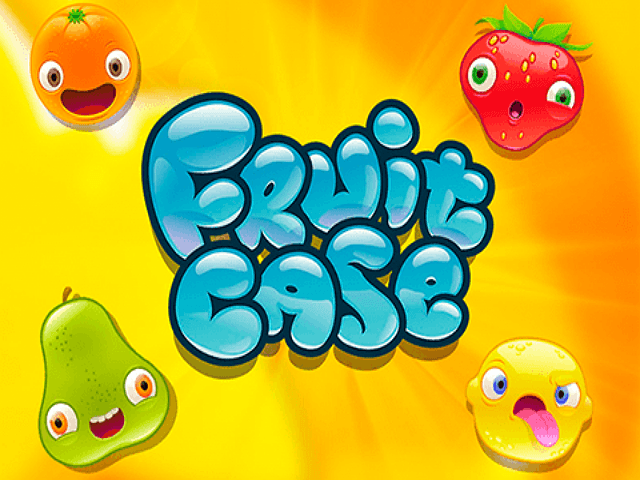 If you like Fruit Case - You'll like these slots too!